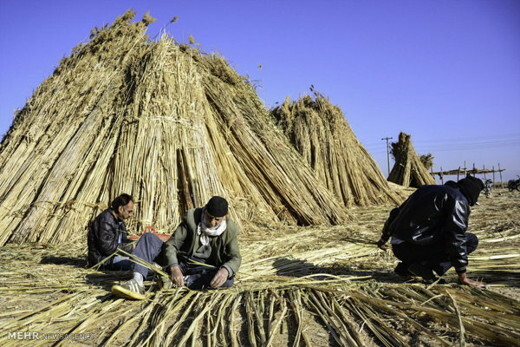 People in Khuzestan province, southwestern Iran, weave mats or wicker mats by palm leaf fibers. Mats or wicker mats are woven by palm leaf fibers in Iranian southwestern province of Khuzestan. Mats are also made by Cyperus papyrus found in abundance in the region. This type of mat is applied as a wicker as well as a cover for house roofs.